The importance of brake fluid is unquestionable! The specifics of this hydraulic fluid are equally important. Knowing the requirements and understanding the components of brake fluid can help you recognize problems with your car’s brake fluid. If you suspect any problems with your brake system, have a full inspection conducted by Everett Brake Service and Repair specialists Conaway Motors. Recognizing a potential problem early can eliminate catastrophic failure and serious safety issues. Because petroleum is corrosive to rubber seals and hoses of the braking system, most brake fluids are glycol-ether based (DOT 3, 4, 5.1). There are some brake fluids that have a base of mineral oil (Citroen LHM) or silicone (DOT 5) as well. Each brake fluid is designed to meet criteria as set forth by the Society of Automotive Engineers (SAE). Although each brake fluid is designed to address specific SAE concerns, local environmental factors are often included in the design. For example, extremely cold climates must account for extended periods of below freezing applications (Alaska). Another factor that is taken into consideration for local specifications is humidity. As noted, the wet boiling points of each fluid is substantially lower than the dry boiling point. The boiling point is still well above that of water alone, allowing for the high operating temperatures that the fluid is exposed to, especially at the point of brake application. Hygroscopic – the DOT 3, 4, and 5.1 brake fluids attract water, and are considered to be hygroscopic. The glycol-ehter component in the fluid allows the fluid to absorb water at normal humidity levels. The water is boiled off during the high heat operation of the brake system. Hydrophobic – DOT 5 fluids are silicone based and repel water. The hydrophobic fluid does maintain its high boiling point for the life of the fluid, but the potential for water build-up in the brake lines is a definite risk. All brake fluids are designed with corrosive resistant properties. The fluid designs include corrosion inhibitors to prevent corrosion of any metal components of a braking system (master cylinder, calipers, etc.). 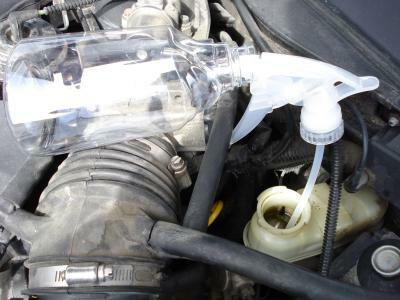 Everett Brake Service & Repair specialists Conawy Motors recommend that brake fluid be replaced every 1-2 years. Periodically, the moisture content of your car’s brake fluid should be checked to assure the level is within acceptable limits. The moisture content can be measured with either electronic testers or paper strips. Excessive moisture intrusion and depletion of corrosion inhibitors occurs with normal use over time, which is the reason for periodic replacement of brake fluid. Silicone brake fluids only need replaced when a component of the brake system is removed or replaced. The DOT 5.1 brake fluids do not need to be replaced from normal wear and tear. It is essential that glycol-ether and silicone based brake fluids not be mixed. Silicone based fluids can only be installed in dry brake systems. Additionally, silicone fluid does not allow water to enter the system, but will not displace water already present either. Silicone brake fluid is used in extreme cold climates like Russia and Finland to eliminate the potential for freezing lines in extreme weather.